You think you've seen one Aster, you've seen them all, right? Actually... you would be wrong! 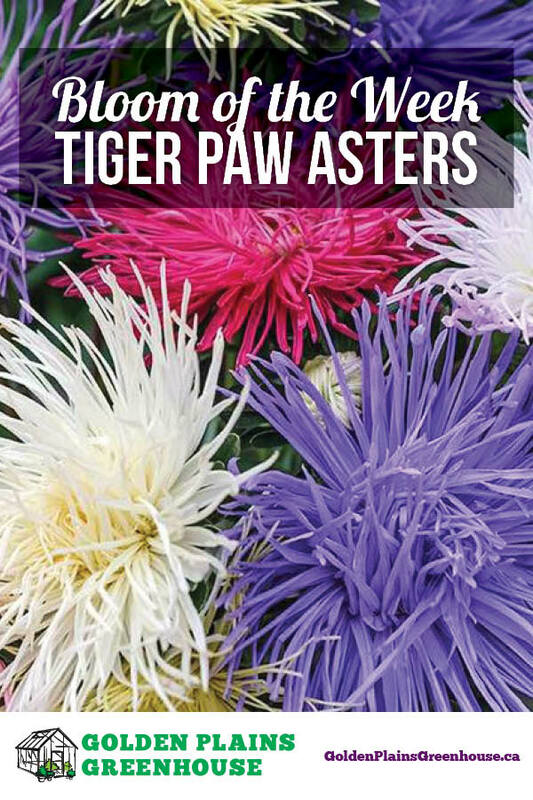 Wait until you get a look at the Tiger Paw Asters! Each bloom is 3-5 in. each, plus at an average height of 2 ft. tall, these flowers are sure to stand out in your garden this year! The name "Tiger Paw" comes from the look of the bloom,with it's incurving quill petals that resemble the claws on the paw of a tiger. These flowers are great in the middle of a border, as well as make an excellent cut flower. Tiger Paw will bloom from mid-summer to late fall, attracting butterflies all the while! Would look lovely mixed among some Ornamental Grasses, Dahlias or Salvia.